This computer has no external ribbon cables, and a complement of only 3 S-100 boards inside. 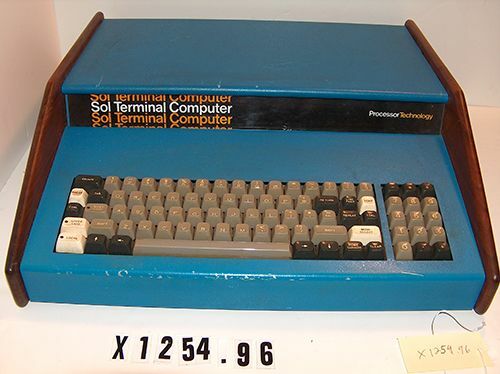 The SOL Terminal Computer was designed by Homebrew Computer Club president Lee Felsenstein. Although originally intended as a TV terminal, the addition of an 8080 microprocessor and monitor-in- ROM allowed it to accept keyboard commands. It was one of the first machines to have a built-in video display interface and to dispense with the traditional front panel containing many switches and lights.